Most Blog readers have probably noticed the recent landscaping changes in Stone Place car park directly outside the library. 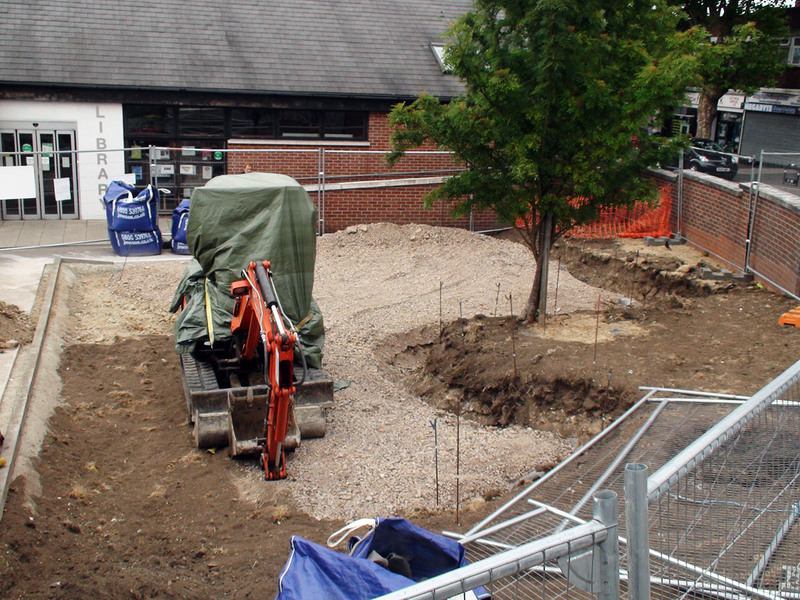 As many of you already know this is formation of the 'Library Garden', first mentioned back in 2013. 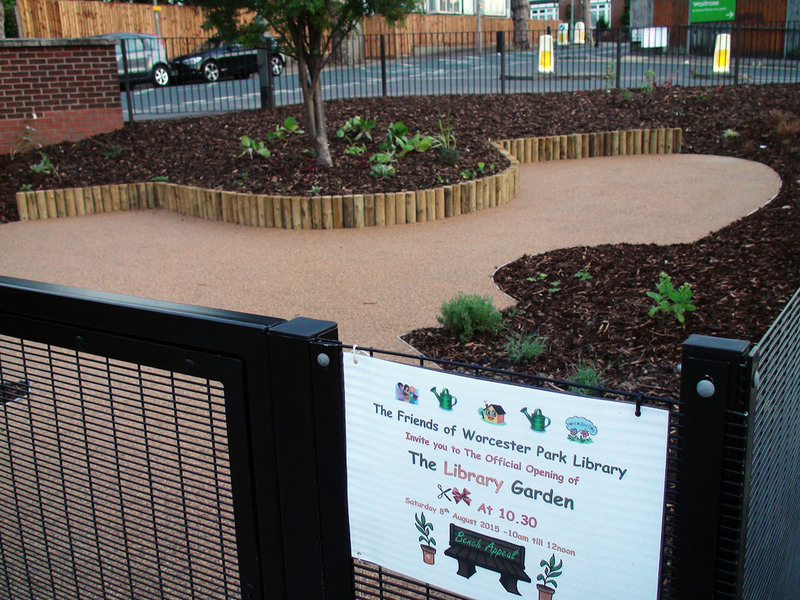 The project which has been championed by the Friends Of Worcester Park Library, chaired by Jackie Frost and began with the winning of £5,000 from Sutton council towards the project. 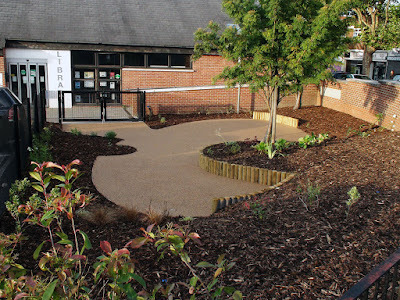 Two years later, the new Library Garden is celebrating its official opening tomorrow morning (Saturday 8th August) at 10:30am and invitations have been sent out, firstly to specific local people and groups, and now to the general public. It would be remiss not to point out that while this application seems to have received general approval from the public (it was something I was happy to support early on), there has been some strong opposition to it too. This opposition has come in two main forms. The first being due to local residents living close to the site fearing the area might become an area of antisocial behaviour during the evening and night hours when there is no supervision there. 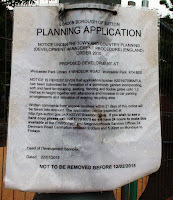 The second is based on the removal of a number of car parking spaces when Worcester Park high street is in desperate need of more car parking not less, plus how the application may have made some outlandish and unsubstantiated claims to gain approval. A petition was started in order to fight against it. 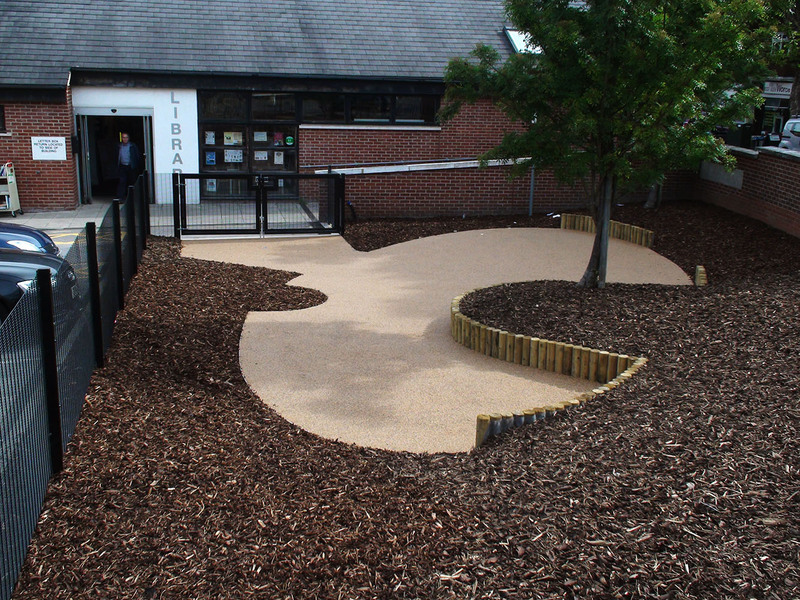 Regarding the first issue: Given that nice areas like this do sometimes become less nice over time it is understandable that local people would be worried about what might go on there in the antisocial hours. The four foot fence is unlikely to keep determined people out during the night but of course a taller more menacing fence would defeat the object of having a pleasant area. Regarding the parking and 'other' issues: One thing that has got some people's goat here is only partially the removal of the spaces for the garden. The original plan was to remove eight spaces but the plan was reduced so as to only remove two (while moving another two). It is also how the application has gone about making claims that are rather strongly disputed by some. One of those claims is that apparently 96% of the community was in support, which sounds at the high end of the scale but not out of the question for such a project. However according to the petition against the project, there were 224 objections to the proposal. In order to have 96% support there must therefore have been 5600 supporters of the proposal. It is claimed here however there were only seven. Please read all about this in the petition against the proposal here. Another issue which has upset people, again with how the application was 'sold' was that it claimed to be increasing the number of car parking spaces. Now of course this seems impossible. If something takes up the very space that was previously used for parking cars, then of course car parking capacity is reduced. 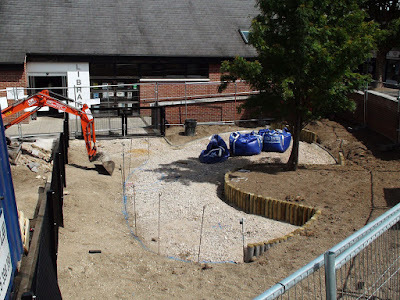 However it just so happens that back in February, the number of car parking spaces was increased, not by the library garden, but by the removal of the recycling facilities - not just in Stone Place but at the top of Central Road as well. This increase in spaces has somehow though been credited instead to the building of the library garden - allowing those in favour of the plan to tell people the library garden itself is increasing the number of car parking spaces. 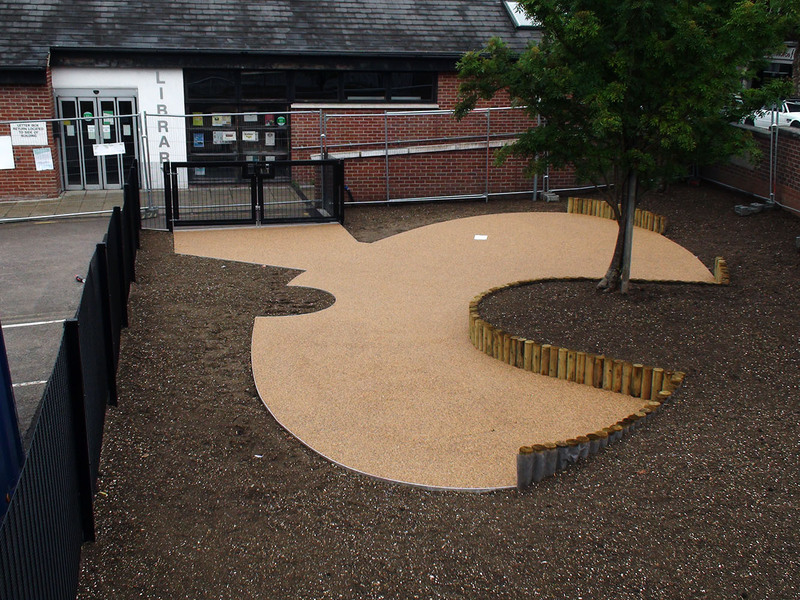 At least you can pop along tomorrow and enjoy the opening if you wish.